A revealing question and answer came in this week’s presidential debate among the Democratic candidates. They were asked if Edward Snowden, the whistleblower who revealed illegal spying by the NSA and the U.S. government, should be considered a hero or traitor. According to Hillary, Snowden is not officially a whistleblower, since he failed to apply for such status within the government. If he had, she suggests he would have been given a fair hearing. (Right! Just like the “positive response” Hillary Clinton’s State Department gave Peter Van Buren, who for his honesty about Iraq reconstruction was outcast and hounded into retirement.) She also suggests that Snowden’s revelations have “fallen into a lot of the wrong hands,” by which I think she means not foreign terrorists but the American people — what she terms “everyday” people to distinguish them from people like her. But, finally, this sentence is the killer: I don’t think he should be brought home without facing the music. 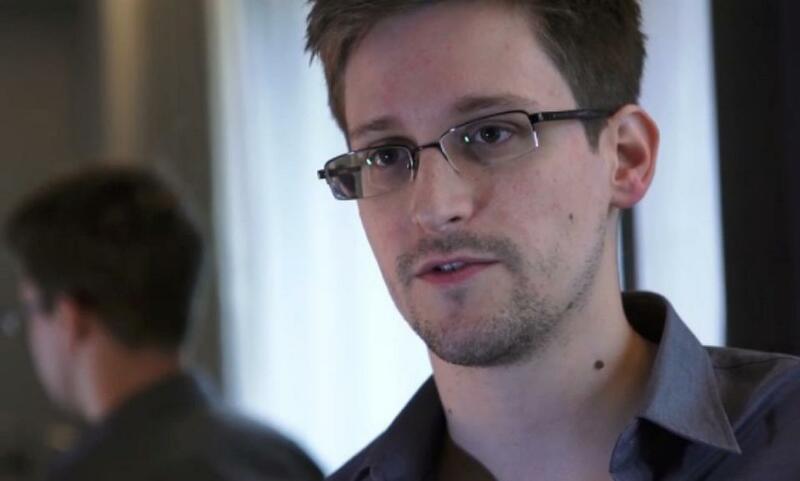 Facing the music: Do you know what that potentially means for Edward Snowden? Accused of treason (his information having fallen into all those “wrong hands“), he would face the possibility of execution by the U.S. government. Facing the music in this case may mean facing a firing squad. At the very least, we’re talking about a LONG jail sentence, doubtless in a maximum security federal penitentiary. By comparison to Hillary, the other candidates showed measures of compassion. Lincoln Chaffee said he wanted to bring Snowden home: that he deserved praise for revealing illegal activities by the U.S. government. Martin O’Malley essentially agreed with Clinton but without the ominous warning about the need to face the music. Bernie Sanders applauded Snowden for his role in educating the people about their dishonest and abusive government; he said that important service should be taken into account if and when Snowden returns for trial. Jim Webb punted the question to “the legal system” but he also highlighted the dangers of uncontrolled surveillance and how such power can be used for undemocratic purposes: “We’ve got a vast data bank of information that is ripe for people with bad intentions to be able to use,” Webb said. Of course, we truly wouldn’t know the full extent of this without the revelations provided by Snowden. Following on from what Webb said, the conclusion is obvious: Edward Snowden is a hero. He should be brought back to the United States and praised for his courage in revealing how our government has spied illegally, not only on the American people but on much of the world. Untrammeled spying is not making us safer; it’s people like Snowden, those who still have integrity and who believe in the ideals of democracy, who are making us safer. On the question of Snowden, hero or traitor, all the candidates disappointed. But in calling for Snowden to face the music, Hillary Clinton’s answer represented the deepest bow to the National Security State. If I were Snowden, I wouldn’t plan on returning to the USA if Clinton is elected president. Gee, I wonder why Snowden is reluctant to come home and “face the music”? I was amazed the other day to see on CNN.com a report that Snowden has put out feelers to US government about coming home and copping a plea. Thank goodness (for Ed) there’s apparently been no reply! I have offered this advice on public Internet forums (with no guarantee Mr. Snowden will ever see it, of course): DON’T DO IT!! Don’t try to cut a deal. The Devil, after all, doesn’t have a good track record of keeping his word, does he? Young Mr. Snowden should not have to face a single day in jail. Those on whom he blew the whistle would be there already if Justice was to really prevail. Folks who attempted to blow the whistle via “official channels” (seeking internal investigations, with the fox in charge of guarding the hen house) have not fared well of late, have they? Indeed, the Obama regime has been deemed THE most hostile to whistleblowers in recent administrations. I refuse to believe the National Security State has achieved the ability to prevent Snowden’s loved ones from finding a way to visit with him in a “neutral” location. By the way, I passed through the airport in Moscow in August 2013 while Snowden was encamped there awaiting asylum decisions. I would have liked to meet him and shake his hand, but didn’t bother making any effort on the assumption I wouldn’t have been allowed through security. Stay free, Ed Snowden!! Hillary was also being disingenuous at best – as a contractor for the NSA, the whistleblower laws that Clinton referred to that would have allowed him to “whistleblow” up the proper chain of command and thereby enjoy the protections guaranteed to whistleblowers under the law DO NOT APPLY. All intelligence agencies (and those contracting to work for them) ARE NOT COVERED under the Whistleblower Protection laws. Hmm, Clinton kinda omitted that from her response, although you can be damned sure she is very well aware of that fact. Also, Snowden would be charged under the Espionage Act, which DOES NOT PERMIT THE ACCUSED to mention any of the reasons why he did what he did. It is right there in black and white in the Act, which is precisely why Obama has chosen that particular crime to charge whislteblowers with – Snowden included, to the tune of more times than all other presidents combined. Because he – and Hillary, you can be sure – knows QUITE WELL that the accused is not permitted to use in their defense any of the reasons that prompted them to blow their whistles – precisely nullifying any chance of their using “whistleblowing” as a defense WHATSOEVER. The entire point is to paint Snowden, and all other whistleblowers, as traitors to the U.S., and NOT to allow them to wrap themselves in the “whistleblower” label. Clinton and her ilk are all the same. Slimy and slick. Shame that the debate moderator didn’t bring any of these facts up to her. I’d like to see her squirm. Excellent points. My advice to Mr. Snowden from day one has been to not try to cut a deal with these bastards. Especially now that Russia has been (re-)elevated to America’s Public Enemy Number One and continues to give Snowden safe harbor.